CES is a Consumer technology association – which stands for Consumer Electronic Show. On January 5th 2017 the tech carnival took off in Las Vegas, and will last till 8th. Below are photos of some of the Tech displays that thrived the most. Although several awesome, mind blowing techs were displayed. A little but more about CES. Technology is now on the Artificial Intelligence, cars that will study, robots that can chat with you real time. I’m not surprised. i saw it coming. 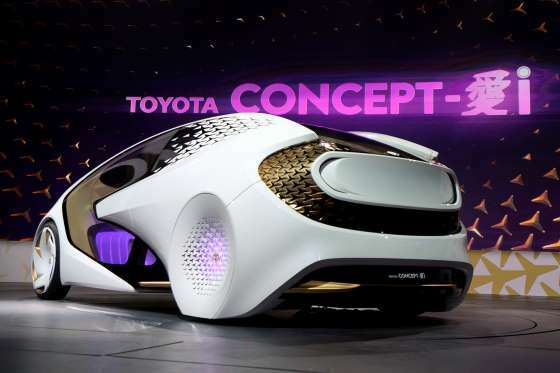 The new Toyota Concept-i concept car, designed to learn about its driver, is unveiled during the Toyota press conference. The wheels are far from this planet. 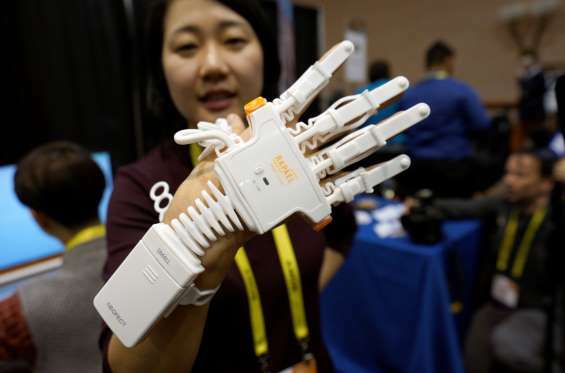 Anna Choi of Neofect demonstrates the Rapael Smart Glove therapy device for stroke victims at CES in Las Vegas. 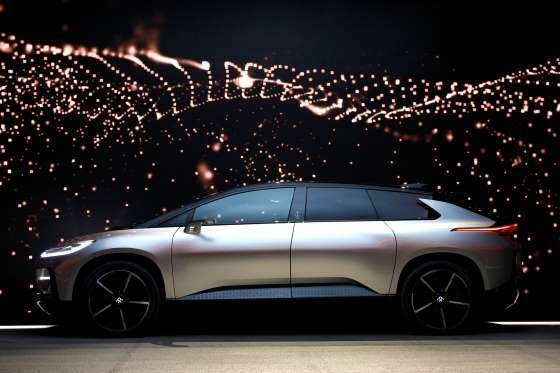 A Faraday Future FF 91 electric car is displayed on stage during an unveiling event. 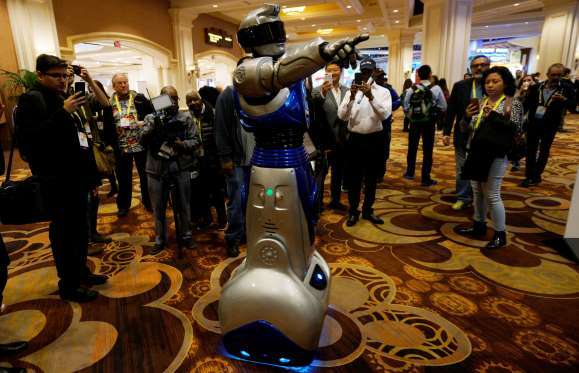 A man in a mechanized robotic costume points the way for showgoers. 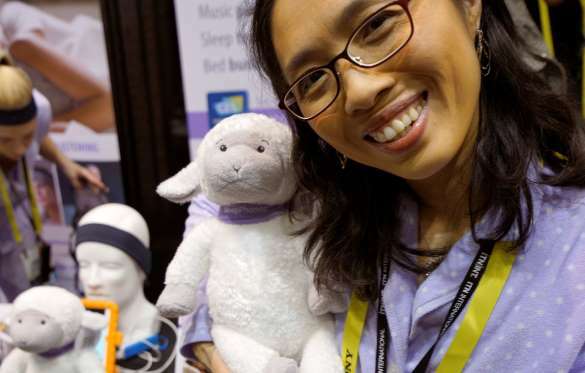 Wei-Shin Lai, inventor and CEO of Acoustic Sheep LLC shows off her invention, the Dozer music player and sleep tracker for children. 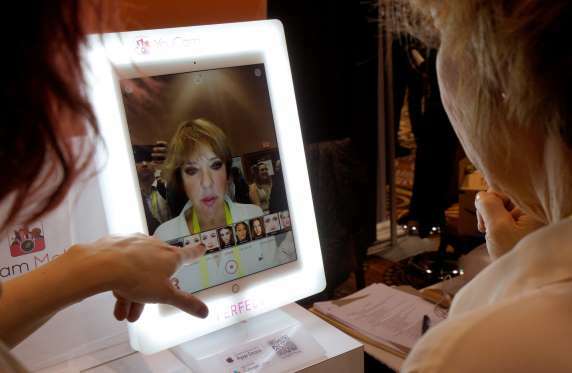 A show-goer tries out the YouCam Makeup mirror which shows different make up without actually applying any. 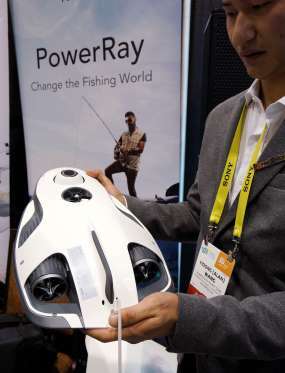 Alan Wang, technical support engineer with Powervision Robot Corp., shows off the PowerRay fish-finder equipped fishing drone. 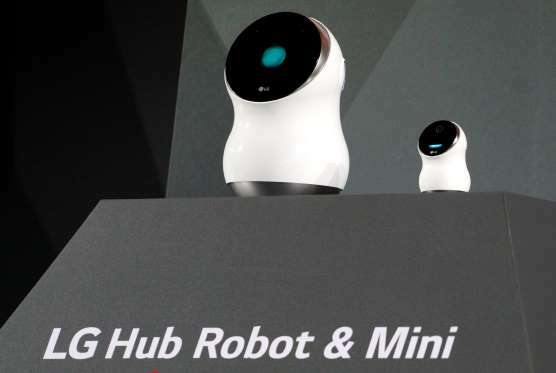 The new LG Hub Robot and Hub Robot Mini.